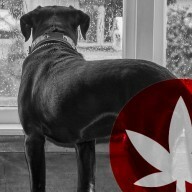 Blog Is CBD Right For Your Pet? CBD’s ever-growing popularity stands as a testament to its myriad health-boosting benefits. Not just for you and I, but for our beloved pets as well. Some of these benefits include reducing inflammation, relieving pain, and soothing anxiety. This is, in part, due to the way CBD interacts with the endocannabinoid system, a physiological network of endocannabinoids and receptor sites present in both humans and many animals. The endocannabinoid system (ECS) is responsible for regulating homeostasis, and balancing the functions of other physical and mental processes. 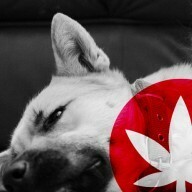 Given the association with cannabis, many pet owners wouldn't dream of administering cannabinoids to their pets. However, while it is true that CBD is derived from cannabis, it's non-psychoactive and won’t interrupt or harm your pet’s ability to function. High-quality CBD is most often sourced from all-natural EU hemp, which contains negligible amounts of the psychoactive compound THC—certainly not enough to get you nor your pet high. 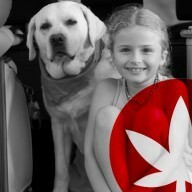 On the contrary, CBD is uniquely positioned to offer humans and pets the opportunity to take advantage of the cannabis plant's therapeutic outcomes, without any psychoactive side effects. Many users choose CBD as a daily health supplement, not least of all because there are no added chemicals or additives. All of these accolades would mean very little if there was no research to support them. Fortunately, studies on CBD are increasing in frequency, resulting in some very positive results. A study published on NCBI (National Center for Biotechnology Information) explored the safety and side effects of cannabidiol (CBD). The review used both cell cultures and living organisms. Administering numerous different dosages, CBD was shown to sustain no adverse effect on the following; blood pressure, body temperature, sodium levels, heart rate, glucose, or pH levels. Furthermore, toxicity was monitored in human subjects up to 135 days after initial dosage. Nothing detrimental was found, which is a vital breakthrough. Initial analysis did show CBD to effect the way specific liver enzymes behaved, potentially impacting how medication is broken down. Consultation with your vet is advised when CBD is used alongside prescribed medication. 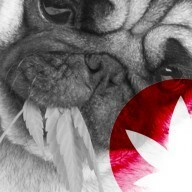 WHAT EFFECT DOES CBD HAVE ON PETS? 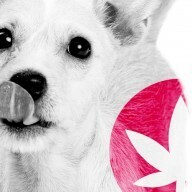 We have detailed the science behind CBD, but what does it all mean for your pets? Forming an unbreakable bond within families, the health of our pets is of the utmost importance. As we have already alluded to, the ECS is present in both humans and animals. This system is comprised of receptors throughout the body that help to regulate a vast array of functions. The receptors, namely CB1 and CB2, become activated or influenced upon the introduction of cannabinoids, in this case, CBD. CB1 receptors are primarily found in the central and peripheral nervous system, while CB2 receptors can be found in the immune and digestive system. Especially within aging pets, joint damage, pain, and inflammation are all too common. Luckily, CBD acts as a natural agent for reducing these symptoms, as well as some of their root causes. Furthermore, CBD’s anxiolytic properties make it an intriguing option for pets that display nervousness, stress, or anxiety. Yes, it’s true! Even your pet can suffer from psychological stress. Whether it results from bad weather or separation anxiety, CBD can help soothe the tension. 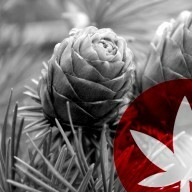 Not to mention, the antioxidant qualities of this cannabinoid make it a natural aid to robust daily functioning. SHOULD YOU USE CBD FOR YOUR PET? A pivotal question. 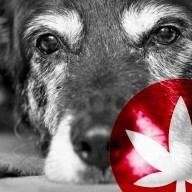 But the question that should be considered is, “Why shouldn't I use CBD to help my pet?”. The cannabinoid possesses numerous therapeutic benefits, while supporting general health and wellbeing. 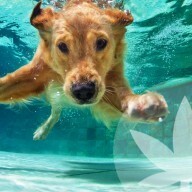 As such, even the fittest, most lively pets can benefit from this cannabinoid. Fortunately, Cibapet CBD products are available to make the administration process easy and convenient! Many pet owners would do anything to support their animals in their time of need. One of the best ways to prevent a problem from arising is to support your pet’s daily health. Included within Cibapet CBD oils are a wide selection of nutrients aimed at supporting skin and coat health, among other benefits. Omega 3 fatty acids, vitamins A, B1, B12, B2, B6, C, E, K2; even the minerals zinc, iron, calcium, and magnesium are all infused within the formula. 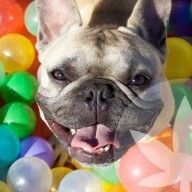 Cibapet also offers CBD via pastille treats, making it easier than ever to administer CBD to your beloved furry friends.